When I was recently overseas in North America visiting family and friends, things were eerily quiet. Sure – there were sounds of traffic, laughter, and the hum of the city, but there was something inexplicable missing. When I returned to Australia, I realized what was missing: the sounds of the extraordinary bird life of Australia. I’ve already written enthusiastically about the king parrots and close encounters with a Rosella or three. And even since moving from Kingbilli, they are still a part of everyday life. They come by en masse for food if we have it, and there are two parrots in particular who stick around all the time. 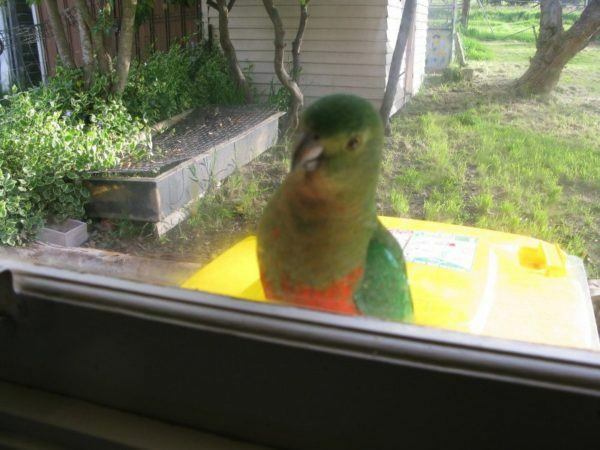 One (which incidentally eats from our hands) actually lands on the windowsill of the kitchen and raps on the window when looking for attention! And charming as they are, these birds are only a small part of the massive collection of stunningly beautiful winged creatures down under.